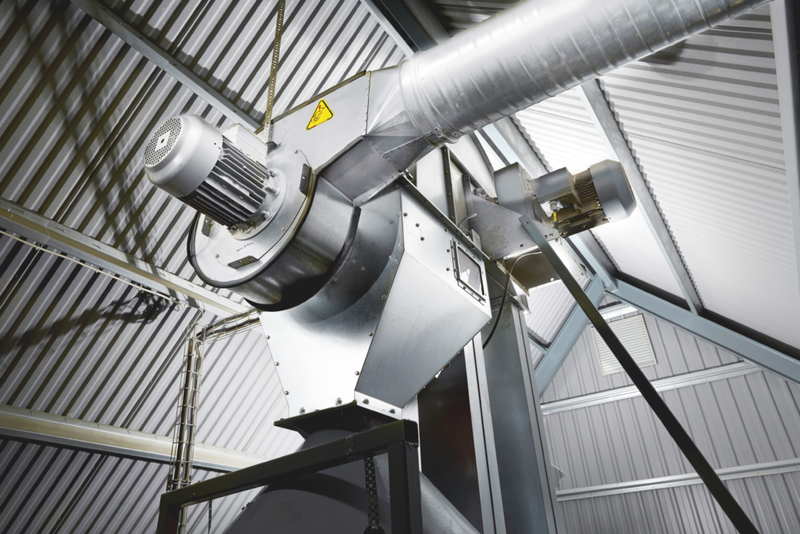 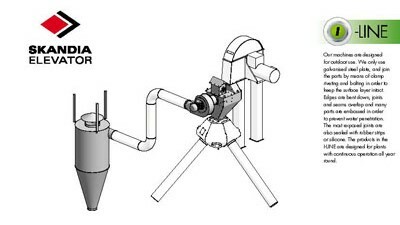 The DC Remover is a complete system for rough grain cleaning and separation of dust, husks and lighter straws. 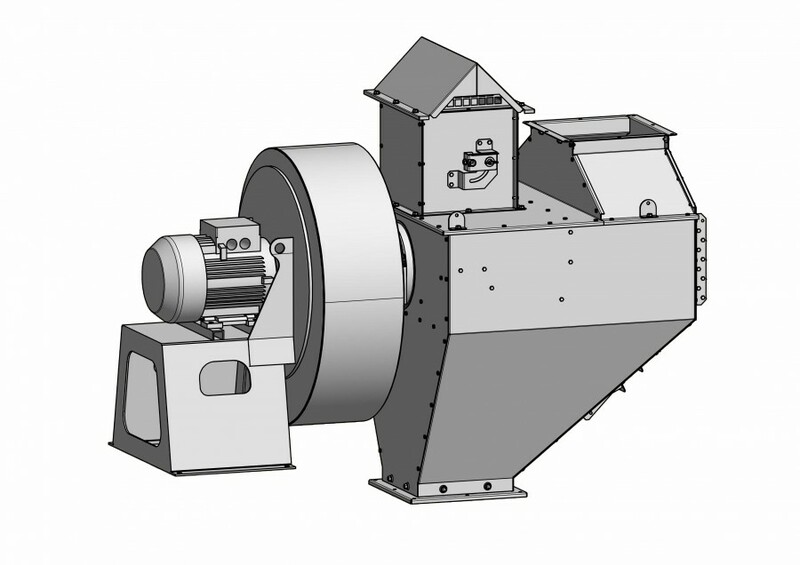 It is a fully integrated, compact cleaning unit, with fan, electric motor and cyclone, made from galvanised steel. 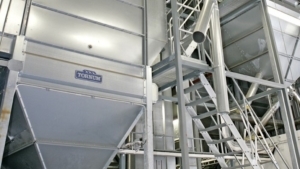 Cleaning is at its most effective at the lower capacity level and optimum cleaning results are only obtained with the complete system. 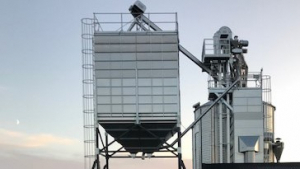 Incoming grain is spread over a screen with transverse slits, allowing seed grain to be cleaned without the risk of the crop falling through and being lost. 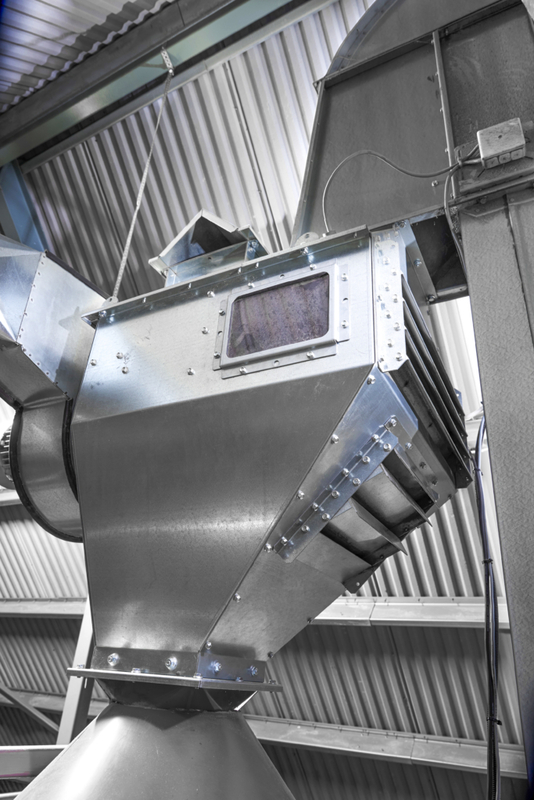 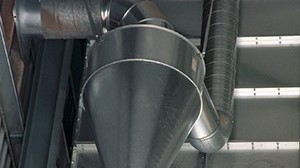 Air is sucked through the screen and the flow of grain which is effectively vacuum cleaned while dust and chaff is removed. 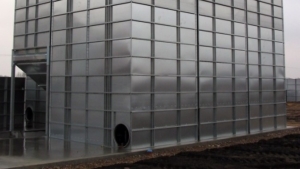 Air flow can be adjsuted to suit various crops. 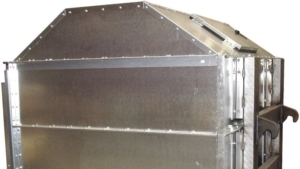 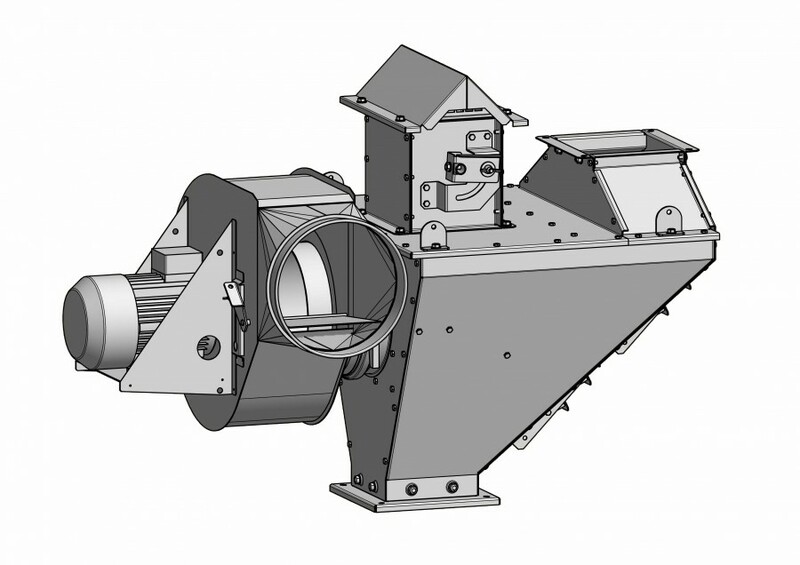 The inlet and outlet is available with a 180, 250 or 300 mm square cross section for connection to RK250 ducting systems (120–150 tons/h, Spiro 315). 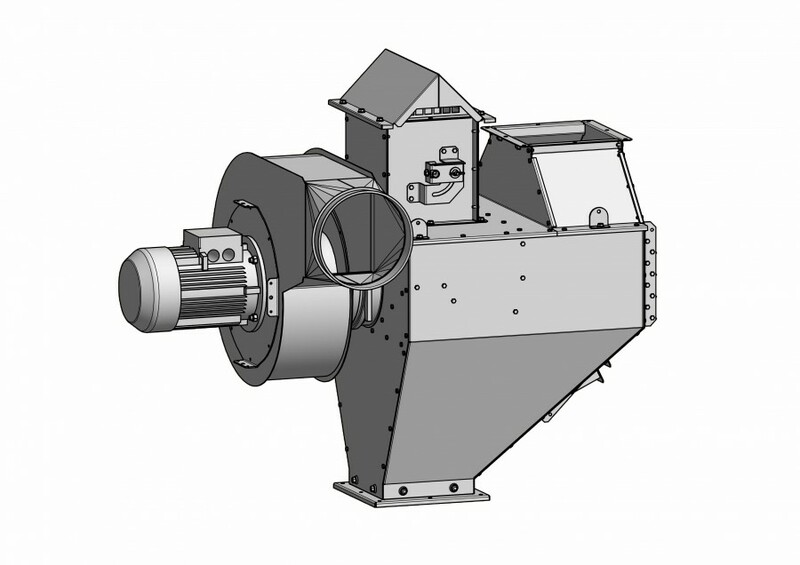 The fan can be rotated 360°, which means that the outlet opening can be moved into the required direction without the need for bent ducts. 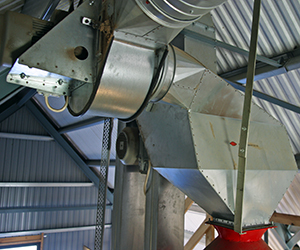 The dust and chaff can be transported approximately 25 metres in a blow-line to the cyclone.